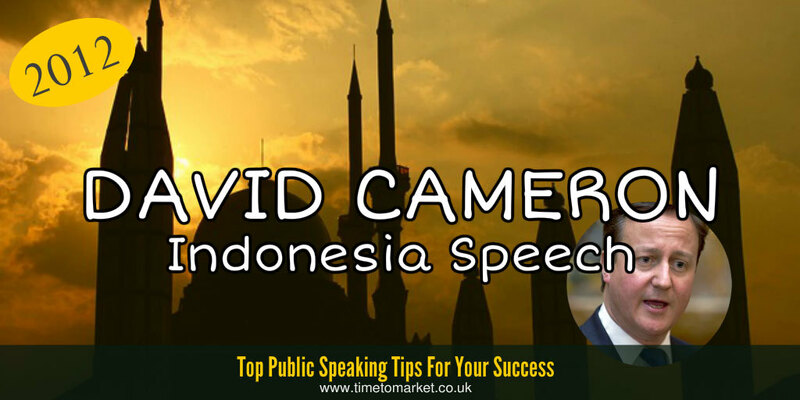 His speech at Al Azhar University on 12th April certainly seized the media’s attention But the David Cameron Indonesia speech earlier in the day was a diplomatic masterpiece. Sharing a speaking platform with Indonesia’s President Yudhoyono, Mr Cameron’s speech combined all the elegance of a traditional diplomatic speech with the modern business-talk trappings of the jet-setting diplomat. And he fits that mould of course with a programme that’s taking in Japan, Malaysia, Indonesia and Myanmar. Very jet-set. Britain, of course, stands ready to help if help is required, and we will stand with you, with your government, and with your people at this time of worry. This Cameron speech contained frequent references to President Yudhoyono and his leadership. And this, of course, is a critical technique in any speech with diplomacy at its core. Mister President, under your leadership, Indonesia has continued a remarkable transformation into one of the world’s fastest growing economies. President Yudhoyono and I share both objectives. But the diplomatic speech isn’t just about platitudes. It’s about shared interests, geo-political interests such as Syria and trade interests. Mr. Cameron’s speech noted the Syrian situation and foresaw “a day of reckoning” for Assad’s crimes. But it was matters of trade that appeared to top the Prime Minister’s agenda in this Indonesia speech. And he made that very clear with an invitation to President Yudhoyono to come to Britain on a State visit. This will be during the very special Diamond Jubilee year, and I believe it’s a mark of the importance we attach to this relationship. With only a passing reference to “Islamic countries,” this was an unremarkable speech, but a very diplomatic one. His speech at the University, later in the day, was less so. You can always discover plenty of public speaking tips with our regular series of top tips, podcasts and videos. 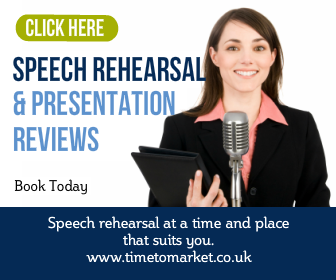 And, with more than 100 top tips available, there really is something for every speech opportunity. 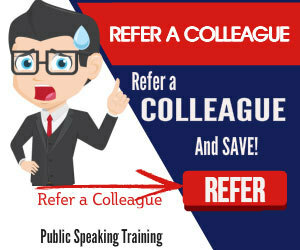 And, when you want extra focus on your own public speaking skills, then you can always ask us to organise a training day for you. So, when the time is right, please don’t hesitate to get in touch.